This is a small solid crystal acrylic case. 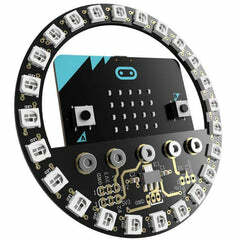 You can place your micro:bit into it. 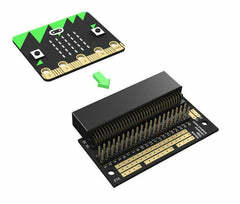 It can wrap up the whole body of the micro:bit board except for the two buttons and the gold fingers exposed in the outside. 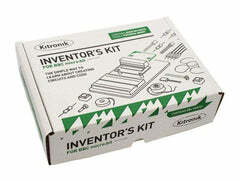 It can protect your micro:bit board as well, preventing against abrasions or scratches to greatly prolongs the life span of your board. Two crystal acrylic boards form a good enclosure to give your micro:bit board best protection. Frosted 5*5 LED dot matrix cover makes LED light softer on your eyes. Zero influence for plugging into EDGE slot with the naked gold fingers. Beautiful solid appearance can prolong the lifespan of your micro:bit.